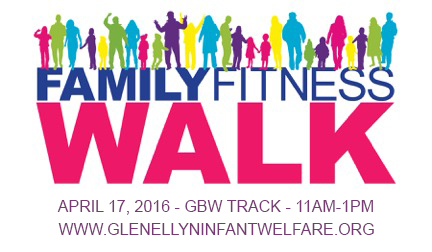 GEIW Junior Volunteers will hold their 3rd Family Fitness Walk on April 23rd, 2017 at Glendbard West High School. The high school led Junior Volunteers work throughout the year to make this day a fun, fitness filled day for all! Members of the community enjoy fitness activities, raffles, bands and food while helping raise money for the 24 awesome agencies GEIW supports. Geiwdevelopment@gmail.com or donate via credit card / Paypal using the link below.